Enjoy the top 26 famous quotes, sayings and quotations by Zola Jesus. I don't know why people think I'm a Goth - that's a misconception. I started performing opera when I was 10 years old. I didn't perform as Zola Jesus until I was probably 18. And my music is always such a release of what I feel inside, an impulse. No matter what you do, if there's something you're afraid of, you need to break through it. I know for sure that nothing matters. You are born and then you die, but in between you can do anything you want. It's society that creates rules for us, but you can break out of that. Want to see more pictures of Zola Jesus quotes? 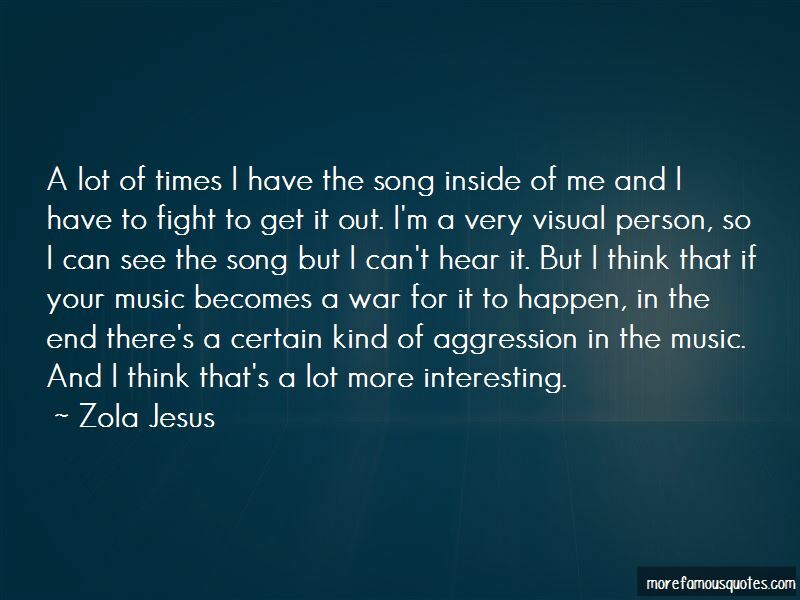 Click on image of Zola Jesus quotes to view full size.